This was my first attempt at painting a waterfall. 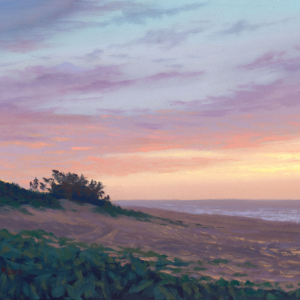 And….it was also the first scene I came upon in Kauai, even before setting foot on the beach! 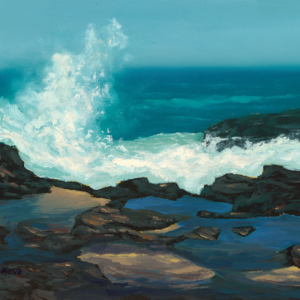 So of course I had to paint it – I plan on doing a similar version of this at some point in the near future. 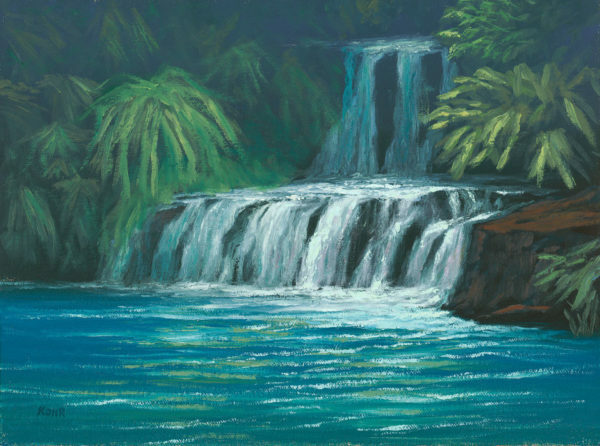 Kahili Falls – This was my first attempt at painting a waterfall. 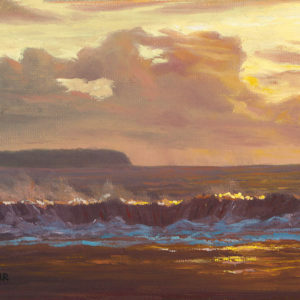 And….it was also the first scene I came upon in Kauai, even before setting foot on the beach! So of course I had to paint it – I plan on doing a similar version of this at some point in the near future. 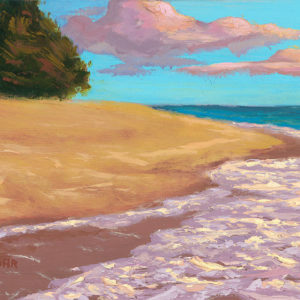 This seascape oil painting was painted on a 9×12 panel.